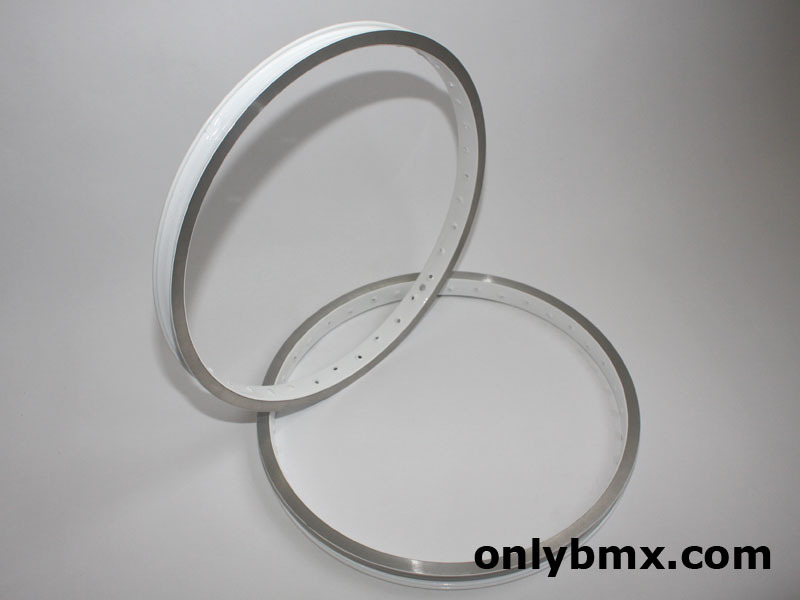 Pair of Ukai 20×1.75 BMX rims. 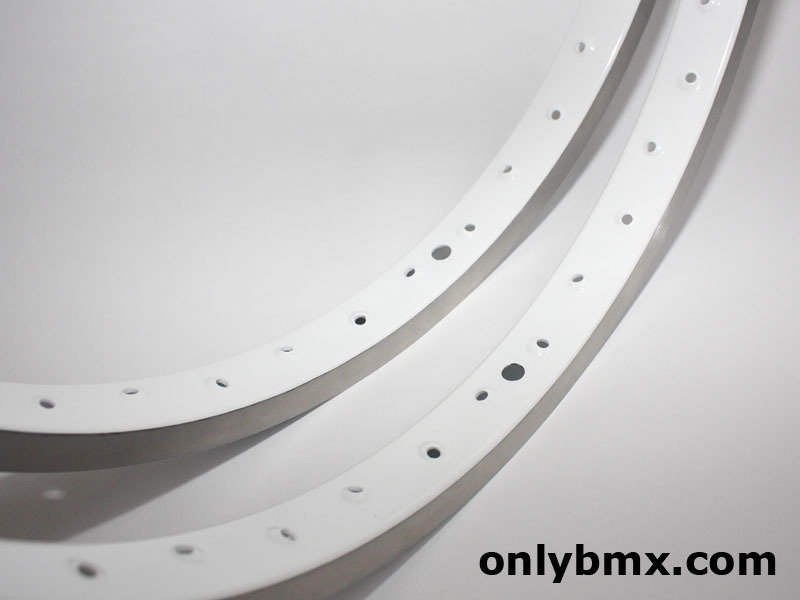 These were in good shape, just a bit ordinary looking, before I had them powder coated white by Roberto’s Custom Powder. They also have the shiny side as they came from the factory. They have never been rebuilt once I had them refinished. 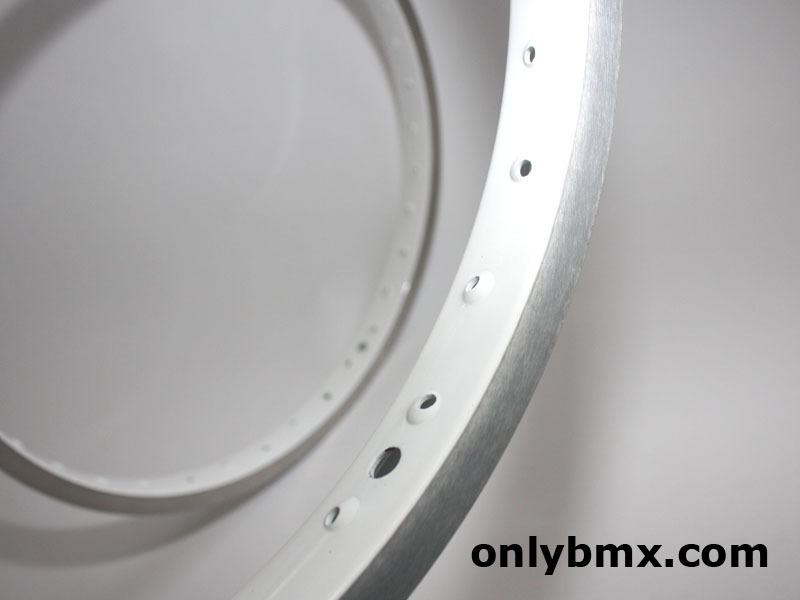 Was waiting to find the rest of the parts for a GT Pro Freestyle Tour build. 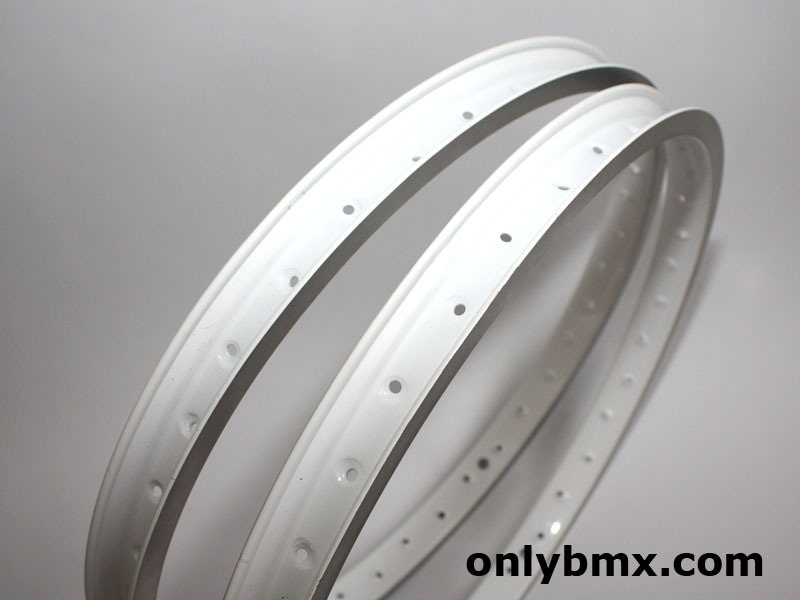 Grab these and the GT Superlace Hubs and you have the correct wheel set for the high end GT freestyle builds from the late 1980s. 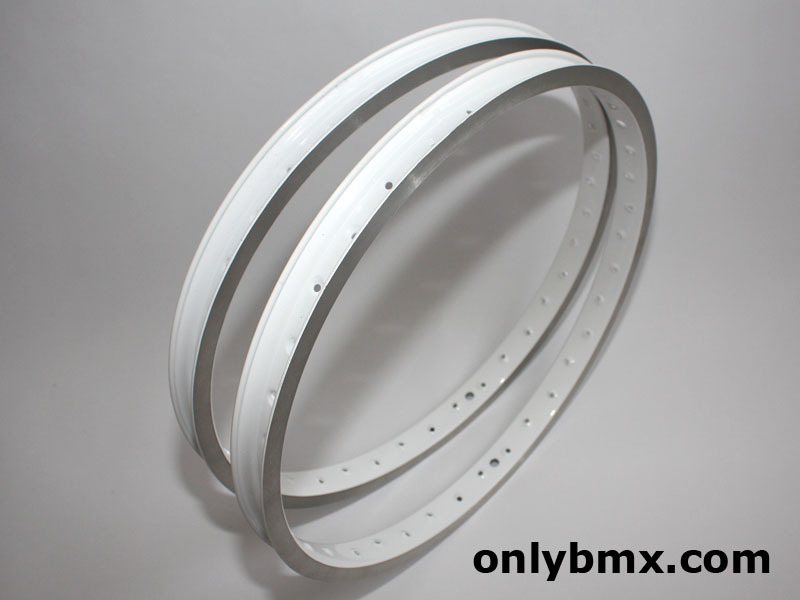 Grab the rims and hubs and build them up yourself for probably cheaper than you can buy the complete wheels because they seem to go for a lot of money.